The Greeks are standing stronger than ever, and their optimism is as clear as the Mediterranean sky. While some may wonder if 2015 is a good year to spend their summer holidays in Crete, we hope that this might take away a few worries. 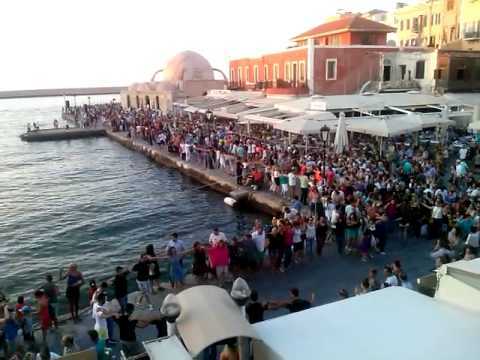 Houndreds of locals and tourists hand in hand while dancing to the rhythms of Zorba a few days ago in the picturesque old harbor. Welcome to Chania for the summer of your dreams!